tibet3 -- Tibet, along the Friendship Highway. Near Tingri. After finishing my trek at Kharta, I hitched a ride to Tingri. 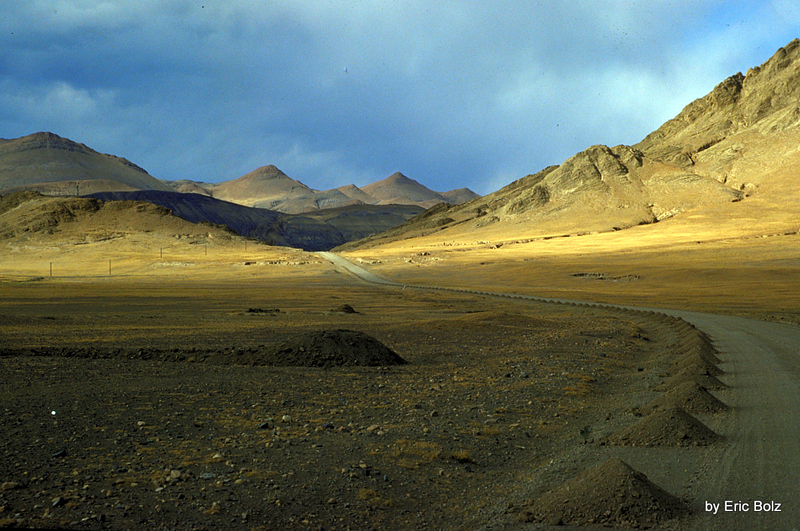 Unfortunately it is difficult to get a ride in Tibet because there are so few cars and trucks.